In a long running saga, the Supreme Court has recently given Marks and Spencer permission to appeal a decision of the Court of Appeal[i]. The dispute relates to a lease between the parties which was terminated early under a break provision. There were earlier conflicting decisions of the High Court and the Court of Appeal as to whether M&S were entitled to a refund from their Landlord. The case is likely to have wider importance in view of differing legal interpretations on the importance of “necessity” in relation to terms that should be implied into a contract. In May 2014 the Court of Appeal held that M&S had no express right to a refund on the exercise of the break clause: any intention should have been set out in express terms if there was to be a refund. No such right could be implied into the contract without express provisions. M&S lost out on their claim for a refund of rent, insurance and car parking charges for the period after the break date. Before M&S could activate the break clause, they were obliged to pay the full quarter’s rent in advance. 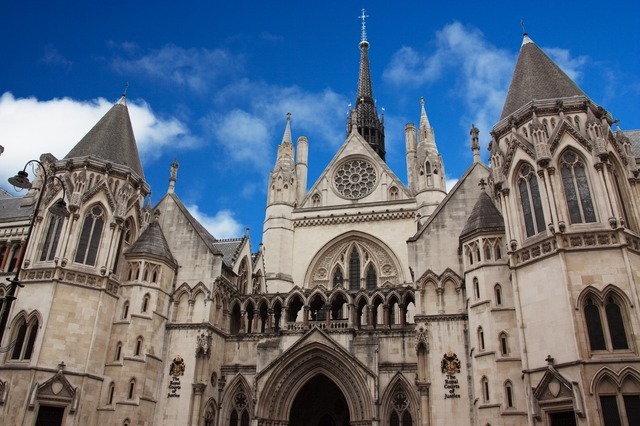 The High Court had previously decided that because the break conditions required payment of a penalty by M&S, the parties could not have intended that the Landlord would be entitled to retain the excess rent in addition. Accordingly, the High Court found that there should be an implied term that the excess rent was in fact repayable. This was rejected by the Court of Appeal. So, in order to be implied, a term must be necessary to achieve the express intention of the parties in the context of the admissible background. The importance of the decision in early 2009 is clear from the fact that it was cited in eight other cases that year. The Supreme Court is likely to be considering the extent of inconsistency as to interpretation of the word “necessary” across the board, and the meaning of the word itself in the context of the case. That the Supreme Court has granted permission to appeal suggests that it may be reviewing break conditions in particular, or undertaking a wider analysis of how terms are implied into leases and commercial contracts more generally in order to achieve a just outcome. No date has yet been fixed for the appeal before the Supreme Court. obviously, leaving matters to chance and calling on the Court to intervene and imply terms much later leads to uncertainty and avoidable expense. Posted on January 6, 2015 by J Paul Sykes	This entry was posted in Directors & Shareholders, Legal Comment, Litigation and tagged agreement, appeal, BREAK CLAUSE, contract, implied, Landlord, Lease, M&S, reasonable, Supreme Court, tenant, uncertainty. Bookmark the permalink. ← A Lawyer’s Christmas Carol?